The first time that I approached me to the music “voluntarily” has been at 11 with the local radios and the programs of saturday afternoon with the listeners musical applications. Unfortunately although in my family a lot of music was listened to, it was not the genre that would have characterized the rest of my life: my parents tried in every way to make me appreciate Puccini, Verdi, Rossini and the others great of Lyric and Classical music… but nothing. The only result was rather to make me look with suspicion the world of the stave. Perhaps if they had put me in hand a guitar instead of a tennis racket the things they would have arrived before and I would not now look with envy the colleagues that have begun to play music at the age of three. Then, as for magic, at the age of thirteen one afternoon on the radio someone broadcasted the song “Rain” by the band of The Cult, and a few weeks later it happened to me lo listen to “Love at first sting” by Scorpions, followed by the album “Back in black” by AC DC… The road was taken. Fortunately to widen my populated musical horizons of distorted guitars, a couple of years after arrived Pink Floyd, immortal band that has literally torn me the soul and that has marked deeply my musical growth and not only. Subsequently as an avalanche have arrived bands like The Doors, The Cure, The Velvets Underground, Tangerine Dream, the first Ozric Tentacles, Dead Can Dance and, parallelly, on the metal “side”, Slayer, Judas Priest, Mercyful Fate, Black Sabbath, Metallica and Megadeth. The connection among all these so different formations for styles and musical genres was the load of energy, often dark and dismal, other times full of anger and grudge, that flowed from the speakers of my poor stereo. Clearly, as many friends, the guitar was the mean, almost a magic wand, to belong to that enchantment. Unfortunately, as already said, no one gave me the possibility to be an enfant prodige, and soon I became me account that, although I played quiet good, I would never have become a guitar-hero. A thing however distinguished me from friends and colleagues musicians of the district: the ability to compose, and so I almost devoted me full time to songs’ creation and arrangement . After various demos I belonged, between 1997 and 1998, to a small label called “Cross Movement” sited in Brescia, owned by Mauro Marcolin, brother of a quiet famous soccer player and author of some deplorable dance productions of success like the remix of “Delusa” by Vasco Rossi and the remix of “Zombies” by Cramberries. The label was small but it collaborated and it was submitted for the promotion and distribution to EMI Records. 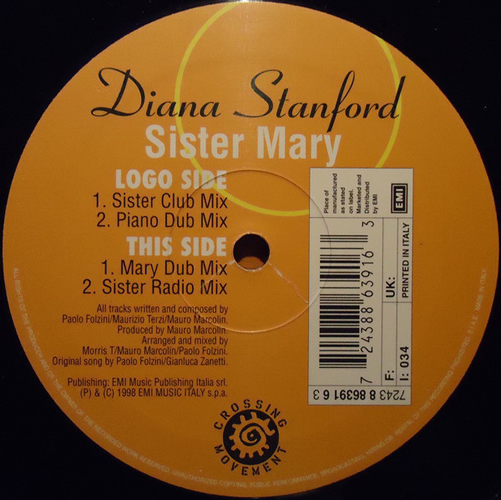 After various proposals the label decided to produce a song entitled “Sister Mary”. The single treated of an as controversial as unrestrained love for Marijuana and, despite the matter (or perhaps really thanks to that), the representatives of EMI liked it a lot. Of the original song arrangement remained almost nothing: it was the period of “Horny” by Mousse T, therefore the arrangement was imposed similar in embarrassing way to that song, and the author/singer became Diana Stanford, only because few weeks before was dead Lady D. To this point, after a similar artistic prostitution, I hoped in a crumb of success. 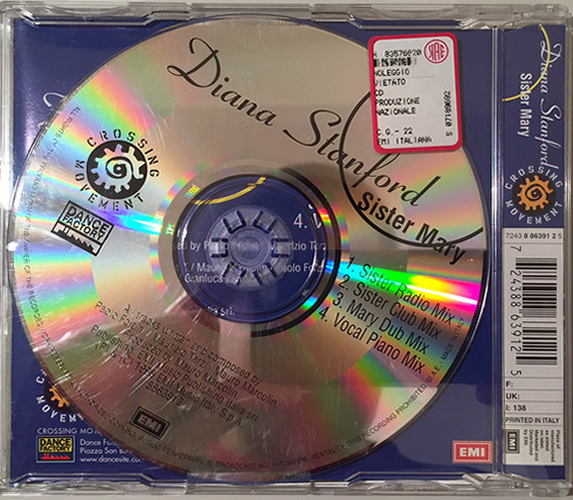 Contemporarily to “Sister Mary” however, the second disk of Cartoons went out, a milestone of the planetary musical garbage. As it was correct that pits, the production represented a flop with notable economic repercussions for EMI Records Italia, that had to withdraw about ten secondary projects. 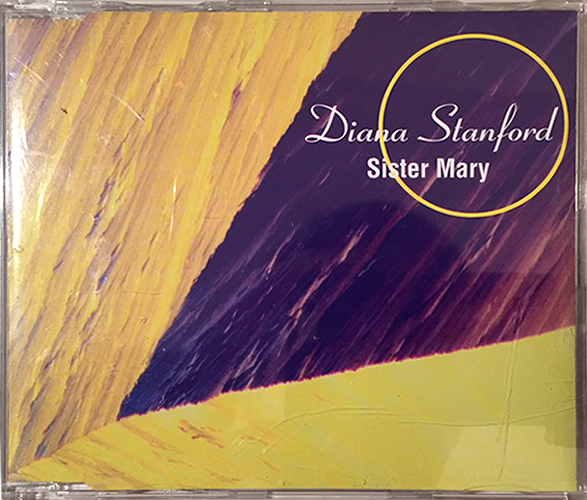 To do it brief over 3.000 copies of the single one “Sister Mary” were literally threw away in a dump. What followed was my suit refusal of the musical establishment that had destroyed my dreams without I could do nothing. I have begun therefore to write music for protest, for retaliation, looking for all those sounds that were out from the varnished world of the commercial FM. If on one side I had burnt, from the other the thing that was seemed me a calamity in before wisecrack, was allowing now me to explore all the musical genres that would have characterized my music in the following years. 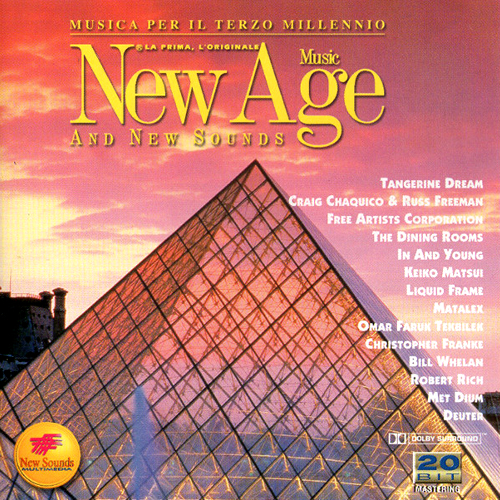 I began to be attracted by Techno music, especially the one played in rave parties, a fascinating phenomenon, with so many elements in common with the Dionysus rituals, sung (and celebrated) by Jim Morrison in the Doors: a collective trance given by the frantic rhythm of the drums (or a modern sound system) and by psycho-active substances (for the Greek and the Romans the rye, for us the synthesis of that plant, LSD). 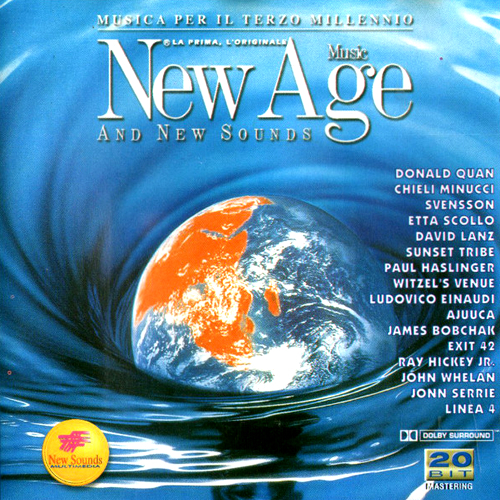 In the same years I had a contact to propose some New Age and acid Jazz productions to New Sound Label, that monthly in the nineties proposed a magazine equipped by cd with a compilation of tracks both of affirmed authors and of debutantes. The result they were two songs on two CDs, respectively in January and in March of 1999. I remember that was with great satisfaction that I found me on the same compilation with the Tangernes Dream, for me a myth. It was always in that circumstance that I knew the woman that several years after would have become my wife. It was also the occasion, for demands of production, to create the name “Liquid Frame”, and to place side by side as me to a prepared eclectic musician: the guitarist Marco Pieri. 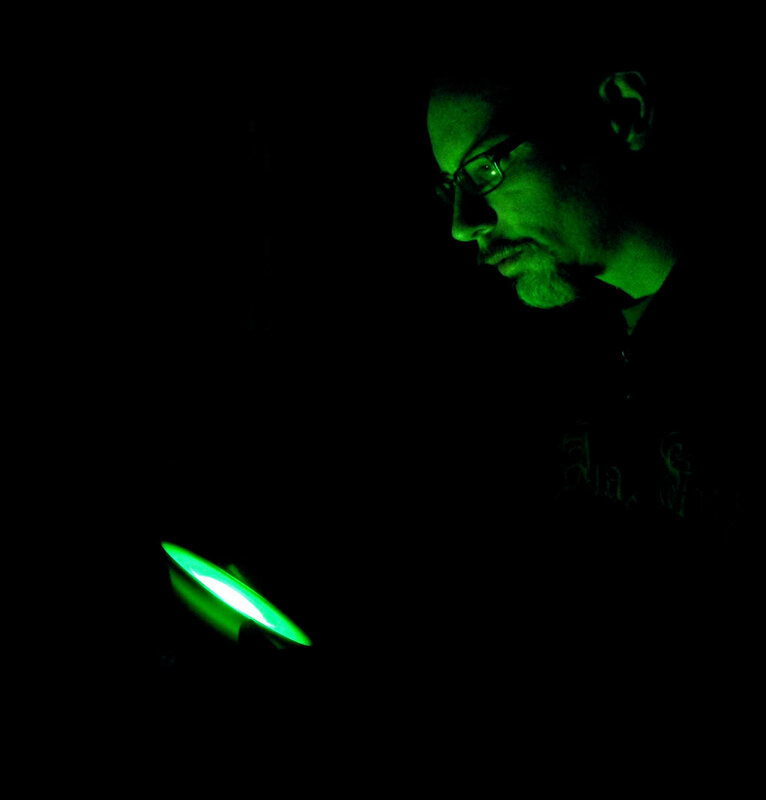 This musician was the assistant value to the project, that would merely have been electronic otherwise. Initial formation was completed then by an American singer, Constance Foster (Kay Foster Jackson), from a couple of years in Italy and busy with different formations jazz and soul in exhibitions along the whole Country. After a few months of recording sessions came out “constance”, a trip-hop and acid Jazz album, that found many favorable opinions of criticism, first among a whole beautiful critique on the italian magazine “Tutto Musica”. Since then a lot of things are changed: the constant presence of Marco Pieri has been replaced from various musicians, who give voice to the part “acoustics” of the project, that has become only to all the effects only mine. In the first years 2000 have tried to deepen the knowledge of the electronic tendencies that were in bloom at the end of the nineties: Trip Hop of the first Massive Attack and Tricky, the Acid Jazz of the Mother Earth and the Drum’n’Bass of Aphex Twin and Goldie. I have also tried to know how much more possible about the World Music, and I have been spellbound from so different ethnic instruments (Kantele, duduk, sitar, banjo) so different and, at the same time, so similar to those of our tradition.